Some efforts have been made to strengthen the environment friendly natural fiber-reinforced polylactide composite (NFPC), but common approaches impair its ductility. This paper successfully synthesized the rigid-soft core–shell nanoparticles which are feasible to simultaneously improve the strength and toughness of NFPC. The core–shell structure was molecularly designed to act the nano-silica and poly (butyl acrylate) rubber as rigid inner core and soft outer shell, respectively. Furthermore, the devised active functional groups at the end of core–shell filler also interact with polylactide (PLA) matrix to form strong interface. 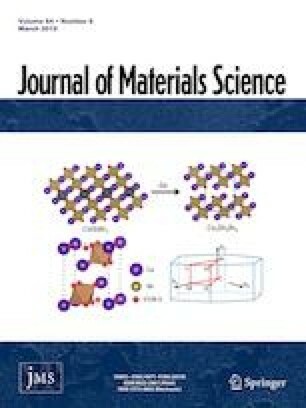 The effect of core–shell nanoparticle on crystalline, thermal and mechanical properties of NFPC was investigated. The results showed that the core–shell nanofiller can facilitate to form the more complete crystalline grain of PLA matrix and the thermal stability improvement of NFPC. More attractively, the addition of the rigid-soft core–shell nanoparticle enhanced the strength and stiffness of NFPC without sacrificing its elongation at break. Finally, the toughness improvement mechanisms and synergistic effect of core–shell nanoparticles were illustrated via field emission scanning electron microscope. It indicates that the micro-cracks, shear band and fibration of the matrix induced by the core–shell filler are the main causes of toughness improvement. This work was supported financially by the National Natural Science Foundation of China (Grant Nos. 11472086, 11532013 and 11872157). The author would like to gratefully acknowledge the China Scholarship Council that gives me a support to do research in the National University of Singapore.